After losing her hearing in one ear in her early twenties from an abseiling accident, Sharon employed techniques to live with her hearing loss on a daily basis. 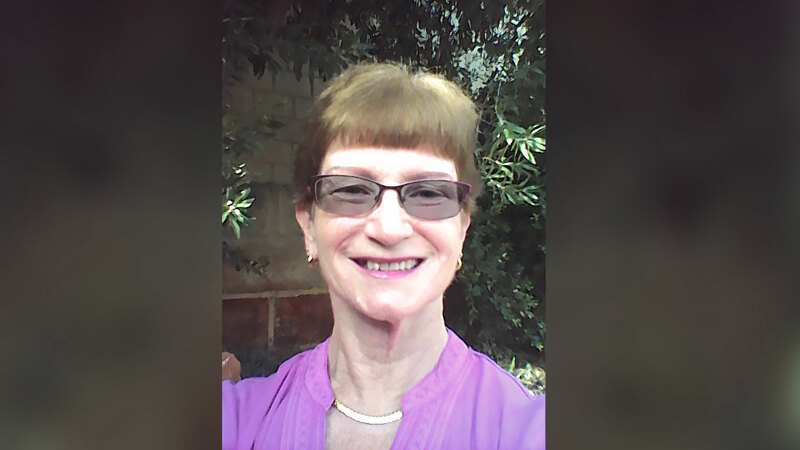 Forty years of hearing loss later and with a successful career in audiology under her belt, Sharon made the decision to get a cochlear implant. Thanks for your time, Sharon! Can you first introduce yourself? I have lived in Perth, Western Australia, for 36 years. I moved here from the USA for my work as an audiologist. I recently retired after working in this profession for more than 40 years. I have a husband, Mick, a step-daughter Kerrie, and a dog, Bosun. Mick and I are keen golfers and we also enjoy reading, travelling and hanging out with our dear friends. Can you share a bit about your hearing loss? I experienced total hearing loss in my right ear 46 years ago just prior to my final year of university. I was abseiling in Montana when I had a head injury. My hearing loss was immediate following my head injury. I was concussed for several months after the accident, which was noted by my family and friends at university. I remember learning about what I needed to do to manage my unilateral loss in classes as well as socially. My biggest concerns were about not being able to localize sound and the difficulty I had in a noisy environment. I was referred to an audiology clinic at the university. At the time of initial testing, I had a 60-70dB flat sensorineural loss, but the distortion in what I heard was profound. The pure tones were not anything like in my left ear and I had no useable speech discrimination. Over the years, what hearing I had deteriorated to a profound loss. Because of the distortion, a traditional hearing aid was never tried, but we did experiment with an early version of the CROS hearing aid. I chose to not use any assistance for my hearing, but to manage my hearing life with environmental strategies. Implant technology was not available at the time and was never suggested as a possibility. Even during my training, it was never suggested. As an audiologist, I have been aware of cochlear implants since their introduction to the community. In the hearing field, technology changes very quickly, especially in hearing aids. Although I always knew that a cochlear implant was the only possible amplification which could reach my hearing loss, I wanted to wait for the technology to improve. When the RONDO came out—which appealed to me as a contained device—I made the decision to get a cochlear implant. Could you share how you got into the audiology profession? When I first met the audiologists at the University of Montana regarding my own hearing loss, the senior audiologist there tried to convince me to switch majors to Speech and Hearing from my chosen course of Sociology and Education. After graduation, I moved interstate with friends and worked in a bank as a typist. However after one year, I realized that this was not the work for me and I pursued information about Audiology, which I had become interested in after my contact with e Montana audiologists. The value of the profession in helping people with hearing loss and the challenge of technology intrigued me. What was it like dealing with hearing loss going through your adult life? As a Community Audiologist in Western Australia, I was required to do a lot of teaching of nurses, health workers, etc. I always prefaced any session with an identification of “who has a hearing loss here?” and then took a few minutes to describe mine and how we were going to manage questions from the audience. I felt that this would put the session at a more comfortable level for everyone. In my work in private practice, my clients appreciated that I could understand some of the difficulties they were experiencing, especially in noisy environments. The main difficulty I had as a unilateral listener was sound localization and hearing in noisy environments. It is difficult to hear or communicate with someone sitting on your poor hearing side. For the most part, I controlled my auditory environment so well that most people did not realize I had a hearing loss, or they would just let me organize the seating to suit me. Was there a particular moment why you decided to get a CI? I always knew that a cochlear implant was going to be my solution, and the development of the smaller, compact RONDO units convinced me that the time had arrived. I had my implant surgery in June, 2014. I was very happy with the fact that right from switch on, I was able to hear the discrete pure tones as pure tones once again. I first had some difficulty with the strength of the magnet causing some skin irritation, which was solved with a milder magnet strength. As I understand the importance of regular use of the device, I was always determined to use it as much as possible. I was very pleased when I first went to dinner at our local fishing club, which is very noisy. I was able to sit back and understand almost all of what was being said around the table, even without straining. Since receiving the CI in 2014, I hear much better in challenging hearing environments and I no longer have to manipulate the seating as much. What was rehabilitation like for you? I was initially advised to practice with listening to an audio-book CD whilst reading a book. My understanding of speech without the book was poor, but when I was given the visual support of the words, the speech became instantly intelligible. It was amazing. I was advised to practice at least an hour per day, which I was able to do as we went on holiday for 2 weeks shortly after the switch on. When I returned to work, I was really only able to practice on the weekends, usually for an hour per session. Every night I try listening to my talking books on my tablet as the script is highlighted while the words are being read. As an audiologist and CI user, why do you think rehabilitation is important? As opposed to conventional hearing aids which just increase volume of incoming sounds to your ear, a CI uses different stimulation. Especially for people who have had hearing loss for a long time like me, the auditory nerve has to relearn what to do, but with a different signal. I don’t think we can rely on “just use it and it will work” as a philosophy for CI. I have been able to chart my improvement over the years by using various training programs such as the MED-EL Soundscape and Angel Sounds. I have met several people who don’t use their device much or are not convinced that the device is doing anything. However these people have not used tools to keep themselves motivated. It certainly would be easy for me to not use the device and think “Well, I did ok for about 40 years, why bother?” However there is just too much to be gained by using a CI, and so we all have to find our motivational tool. Most adult users, like me, will be unilateral implantees, so their motivation to continue to use the device is vital, especially if they have a hearing aid on the other ear. Recipients should be encouraged to make realistic goals in their CI use, similar to the goals used in fitting traditional hearing devices. What advice would you give to other adults with hearing loss contemplating a CI? After exploring the use of other conventional amplification like hearing aids, if a CI is a viable solution, then go for it. However make sure that you firmly commit yourself to rehabilitation in your own time and with your implant audiologists. Realistic expectations and goals need to be established to help people measure their progress and keep motivated. Like this post on audiologist Sharon’s hearing loss journey?